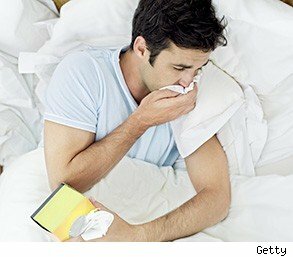 Who goes on sick leave and why? A recently published British study offers a provocative answer, suggesting intelligence -- or lack thereof -- plays a major role. The researchers, writing in the journal BMJ Open, found that the better people performed on childhood intelligence tests, the less likely they were to end up on long-term sick leave as adults. The longitudinal study involved more than 23,000 people, whose cognitive abilities were tested in 1946, 1958 or 1970. Among the 1946 groups, nearly half (47 percent) who wound up on long-term sick leave as adults had placed in the bottom quarter of childhood ability, while only 13 percent of those who ended up on leave were from the top quartile. The splits were similar for the later samples, though the difference between the quartiles were not quite as dramatic. The ranking of cognitive ability was based on testing for both verbal and nonverbal intelligence. But the study found that measure to be insufficient on its own in predicting the likelihood of ending up on disability or sick leave, or the dole, as it's known in Britain. Wealth and education played a significant role, lessening the likelihood of landing on the dole. "There was some attenuation of the effect when adult social class and, particularly, educational attainment was included, and this attenuation was greater for those of lower cognitive ability," the study's authors, led by Max Henderson, wrote. "This suggests that some of the effect of lower cognitive ability is mediated by educational attainment." What applicability does this research have to the United States? Hard to say, but research conducted in the U.S. has noted the link between good grades and good health. A 2010 report in The New York Times about the Wisconsin Longitudinal Study, which has been tracking the 1957 graduates of the state's high schools, noted that "those who had finished in the top quartile were, overall, half as likely to have experienced the declines in health that their peers who graduated in the lowest quartile were experiencing." The study has been following 10,000 people.